We have previously shared with you the Android 5.1.1 based XenonHD custom ROM for other devices and carriers. LG G3 D852 receives little love when it comes to stable, popular apps, however, XenonHD by the Team Horizon has just been made available for the smartphone. XenonHD is an experimental build based on Android 5.1.1 AOSP but provides stable and smooth performance. Here is how to update LG G3 D852 to Android 5.1.1 Lollipop XenonHD custom firmware. It won’t be an exaggeration if we said that this might be one of the best custom firmwares available for LG G3. Team Horizon is now offering an updated version of the XenonHD custom ROM based on stock Android 5.1.1 that has been optimized for LG G3. Extending the functionality of stock Android, XenonHD comes pre-loaded with features and custom capabilities that take the Lollipop experience to a higher level. Faster performance, beautiful user interface, optimized RAM, bloatware removed, and tons of awesome features will keep you hooked to this custom ROM. You can read more about this ROM at its XDA thread. Backup any important data from your LG G3 as a complete wipe will be required during the flashing process. Your LG G3 must be charged to at least 70% of power. 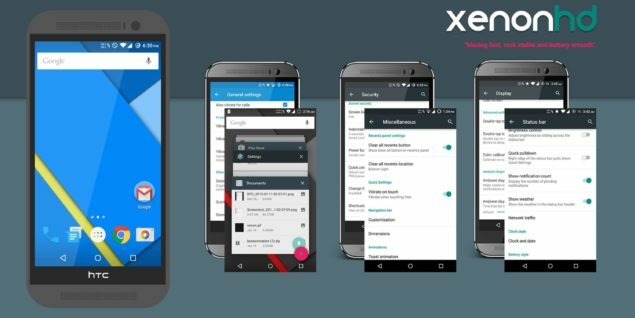 Required files: download the XenonHD Android 5.1.1 for LG G3; save the file on your computer but do not extract the contents. Also download Google Apps Package. Connect LG G3 to your PC using a data cable and copy the zip files to your device’s SD card. Boot LG G3 into recovery mode. Go back to main menu from the recovery menu, select install zip from sdcard followed by choose zip from sdcard. Locate the XenonHD Android 5.1.1 firmware zip and confirm the flashing process. Return back to main recovery menu and reboot your Canadian LG G3 into the new ROM. First boot takes a good few minutes, so please be patient. Don’t forget to let us know if you liked this ROM and share with us your favorite features of XenonHD on LG G3 D852.